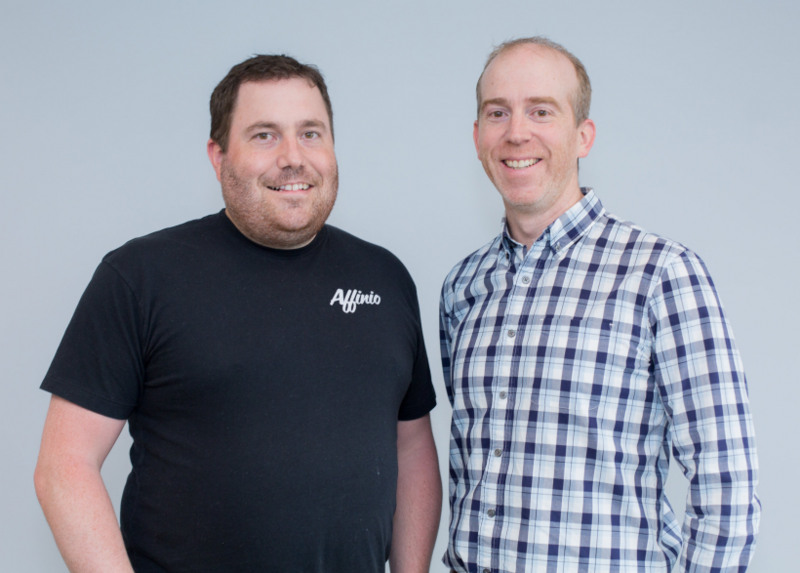 Halifax-based Affinio on Wednesday announced that it has joined a major project initiated by tech giants Microsoft and Adobe to help retailers and consumer goods companies increase their sales. Microsoft’s new Intelligent Customer Journey for Retail project will help retail and consumer goods companies use artificial intelligence to personalize the shopping experience for their customers. Microsoft and Silicon Valley software giant Adobe have been working on the project for about a year, and have now brought in Affinio and Swedish software company Episerver. The announcement is significant for Affinio because it is joining a global project with blue-chip partners, which will help its international sales. It also marks a shift in that Affinio will apply its analytics capabilities to clients’ own databanks rather than drawing data mainly from social media. Burke, CTO Stephen Hankinson and a few other co-founders started Affinio six years ago to develop a platform that could monitor social media data and present a visual analysis to help users understand consumer intentions. In other words, it would break down a company’s client base and gain a deeper understanding of customers’ interests and buying habits. For the past six months, Affinio has been conducting pilot tests of what it calls “first party” applications – meaning it has been analyzing data collected and owned by the customer, rather than just drawing the data from social media. The Microsoft project announced Wednesday now fulfils the vision of using first-party data and rolls it out on a global scale. Burke said Microsoft alone has more than 70,000 clients in the retail and consumer goods space, and the Intelligent Customer Journey will help Affinio reach these potential clients. Microsoft has brought out Intelligent Customer Journey to help retailers engage with shoppers at every stage of the purchasing process, regardless of whether they are buying online or at a store. Using the product, retailers can assess what their customers want, and offer them the ideal product as well as other products that may interest them. Affinio will help mainly with the early stages in working with companies to understand their customer base. Now employing 65 people, Affinio continues to grow its overall business and counts such global brands as BBC Studios, Unilever, and Lionsgate among its clients. It has also continuously deepened its relationship with Microsoft since being accepted into the Microsoft accelerator in Seattle three years ago. Affinio has raised almost $17 million in equity since it was founded, and Burke said the new Microsoft retail project will be a cornerstone in its pitch to investors when it goes out to raise its next funding round.